RHEA RAJ IS A SINGER, SONGWRITER, DANCER, AND ACTRESS IN NYC. She competed in the farewell season of American Idol, getting the golden ticket to Hollywood, which aired on national TV in Jan 2016. She released her first original EP NEON in 2014 and wrote and arranged all the songs. The style of her music is compared to Shakira, Selena Gomez, and Rihanna due to her fresh eclectic pop sound. She collaborates with EDM DJs in Europe, with her songwriting and vocals on their productions. 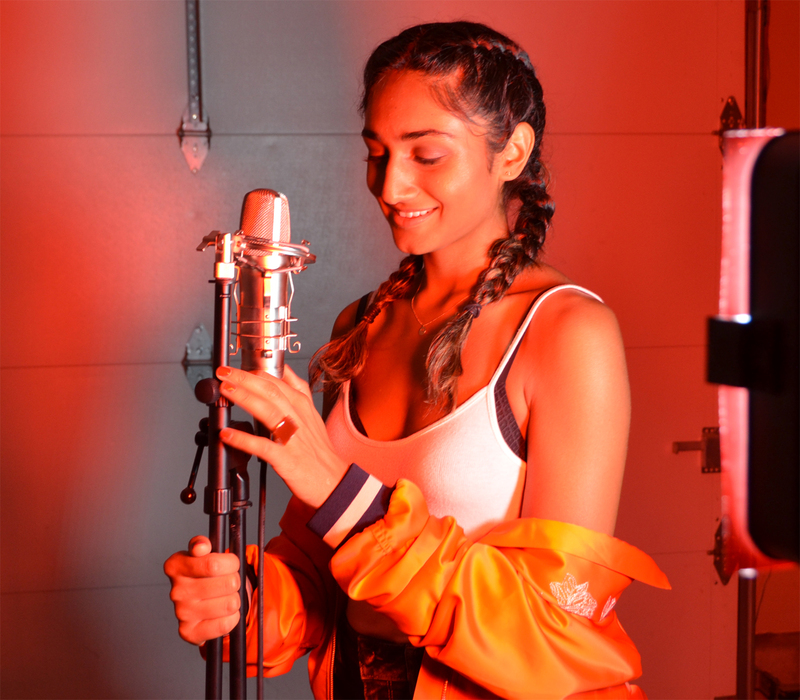 Rhea Raj has performed at various prestigious venues including Poor David’s Pub opening for AJ Rafael, House of Blues, Hard Rock Cafe, American Airlines Center, Dolby Theatre in LA, radio stations and TV channels including CBS & ABC. Rhea Raj has written over 100 songs and releases original music & acoustic remixes on piano and guitar on YouTube. In 2015, she released a music video on VEVO for her song “Struck.” Rhea Raj has a notable international fanbase and media presence on her official sites.